Morning LIMettes.. remember me... I actually forgot what my house looked like over the last 2 months, never mind managed much crafting... My job has taken me pretty much across the world with trips to California and Singapore and after next weeks Italy trip it all calms down and I can have some time to myself. 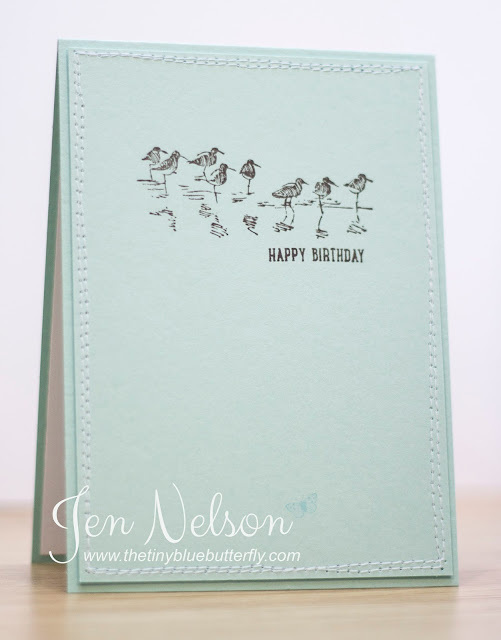 I've used the fabulous Wetlands set from Stampin Up and simply used Expresso Truffle memento onto Pool Party card stock. Some signature stitching and it's clean and simple!